When it comes to our day-to-day makeup routines, they may be tried, but they’re true. All of those beloved products were discovered after many tests and only selected after careful consideration. Every product has a purpose. Whether that’s concealing, highlighting or amplifying our natural facial features, there’s a reason for them being there. Our days may be boring, but our makeup sure doesn’t have to be! Sure, our beauty regimens may be consistent in our everyday lives, but that doesn’t make them set in stone or even permanent. There is always room to liven them up! So what better way to add some glitz and glam than with this eyeshadow billed as the first ever to include SPF? Now, we have to try it! 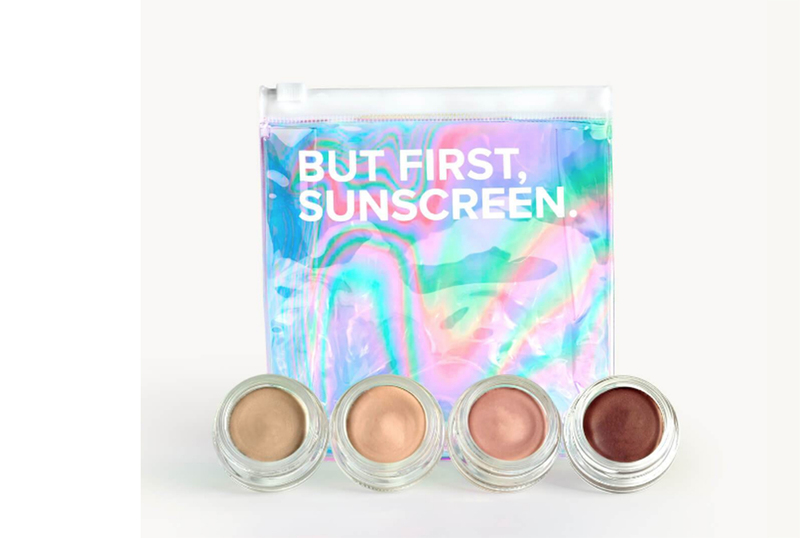 See it: Try the Shimmershade Eyeshadow with prices starting at $24! 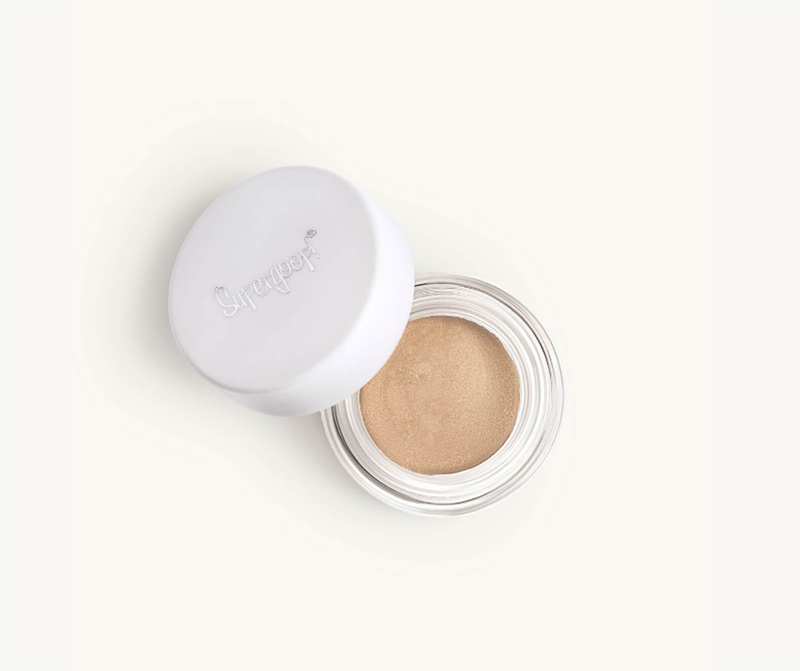 The Shimmershade Eyeshadow from Supergoop is a first-of-its-kind. Much like all of those tinted moisturizers which feature SPF that we’ve grown to love, this adds some sun protection to our eyelids. We never thought about using SPF there so this innovative product will easily become near-and-dear to us, too. This powerful product wasn’t just designed to shimmer and shine on top of our eyelids. It was designed to shield them, too. A hybrid of mineral and clean chemical actives in this eyeshadow will protect eyes from all of those harmful UV rays. Ever notice how sometimes we get a sunburn without the sun ever being out? This is the ultimate solution. Whether the sun is shining or hiding, our lids will be shielded. This creamy eyeshadow is not just moisturizing, but also hydrating. Packed with powerhouse ingredients such as rose, Roman chamomile and sunflower, the hydrating eyeshadow cream leaves skin silky smooth with a glowing feature that is nothing but eye-catching. Thanks to its super blendable formula, this creamy formula is easy to apply and can be used anywhere and everywhere. Best of all, it can be used without any worry of flaking, fading or creasing. The consistency is thick enough to avoid any of those less than stellar results! For those looking for tips on the best application process, it’s simple. Go ahead and pat one finger into the eyeshadow jar and dab enough product on to cover the fingertip. Swipe onto eyelids and done. That lit-from-within look was accomplished in under a minute! See it: Grab the Shimmershade Eyeshadow with prices starting at $24, at Saks Fifth Avenue. Also available at Supergoop! Above all, this eyeshadow is versatile. With four fabulous shades up for grabs, there is nearly a shade for every single day of the work week. In light, golden hour, sunset and daydream, all shades are seriously as dreamy as the last. Honestly, when looking to select one shade, it can be difficult as they’re all amazing. Much to our liking, Supergoop knows we don’t want us to choose because they also come in a set! When opting for the Shimmershade Set, beauty lovers will be pleasantly surprised to find all four shades up for grabs. Why shimmer with only one eyeshadow shade when we can shimmer day in and day out with all of these shades. It’s a win-win! This shimmering eyeshadow is just as shiny as it is smart, too. With 5% to 10% of cancers being found around the eye area, it’s a no-brainer why so many reviewers are all about mixing this product into their day-to-day regimen. When applying over our eyelids each and every day, we’re not only adding a layer of glitz and glam. We’re adding an extra layer of protection. Smart has never looked so good! Not your style? Check out additional products also available at Supergoop!